Did you hear the story about the stay-at-home mom that became a millionaire? How did she do it? She did it by blogging. She and her husband were struggling to make ends meet so she started a blog. The purpose of her blog was to show everyone what she and her family were going through and how they were trying to save money, be more frugal, and overcome their situation. As she wrote, she gained more and more followers. She gained credibility as a money saving expert as she saved money and became financially stable. Once she gained her expert status, major television networks had her to speak on their shows about overcoming financial instability. They paid her big money for the speaking arrangements. From there, she started her own in-home business that focused on helping people gain financial stability. As you begin your blog, you may find that in the beginning it is a challenge to post regularly. If, however, you continue to blog you will also gain credibility and have opportunities come to you. Establish Your Expertise. When you start your blog you should focus it on an area that you are very familiar with. The subject should be something that you like. As you write about that topic, you will learn more and your expertise will grow. 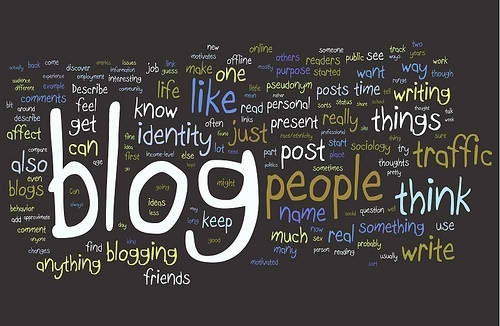 As you blog, you will be forced to write what you know which will clarify your thoughts. The more you blog, the more content you will have on the internet. The content will help people find you when they look for information on your specific subject. Develop a Network. As people find your blog they will follow you. As your followers comment on your blog posts and you comment back, you will develop a network. Your followers will spread the word about what you are posting. They will help you to gain more exposure and they will support you. Potentially, the people within your network will have many different backgrounds. Gain Supporters. As your network develops, your followers will become supporters. They will expect you to post regularly and they will create opportunities for you based on your subject expertise. Influence Potential Employers. As you blog, you have the ability to influence your potential employers. Those that read your blog may be in positions where they can springboard your career to new levels. In line with your blog, there are other avenues you can use where your blog will strengthen your resume. One example is that you can link your blog to your Linked In account so when people read your resume they will see your blog posts. Your blog posts will validate your resume. In addition to the four reasons to write a blog, there are many other benefits that will come as you blog. What are some other benefits you have seen from blogging? Why do you blog? Please submit your comments and thoughts in the comment section below. Brandon, thanks for the mention and keep up the good work! This is nice that blogging helps lot in money making & we can increase our network. As you begin your blog, you may find that in the beginning it is a challenge to post regularly. If, however, you continue to blog you will also gain credibility and have opportunities come to you. This post is lovely. Thanks for this sharing. Career Guidance, welcome to my blog! I am glad that you found this post interesting. I am aware of many people that are very successful due to their blogs. It just takes lots of hard work and perseverance.